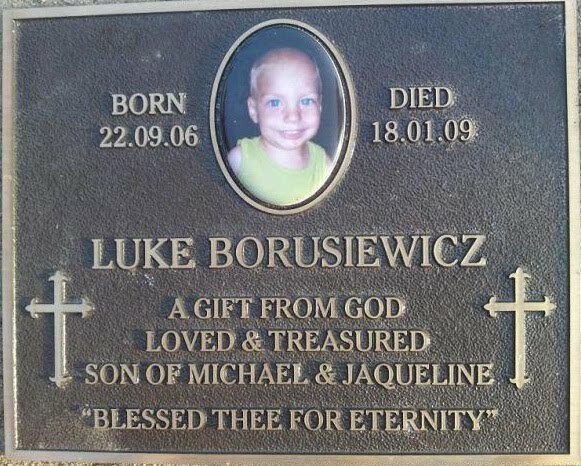 Luke Borusiewicz died at the age of two due to blatant negligence by CPS in North Cairns, Queensland, Australia. Luke was also let down by the complaints hotline, and every staff member his father and mother begged to save him from a dangerous, and fatal situation. 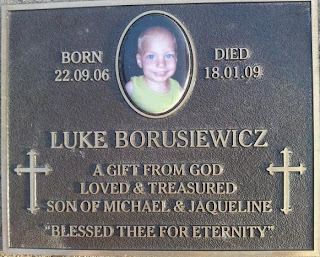 Luke was two years old, and the people that are supposed to be experts act caring for a child, turned their back on this little baby, showing exactly how much they really do care. This is my complaint to the Independent Commission Against Corruption NSW, regarding DoCS NSW, "Linda Burney"
The mother who proved that DoCS NSW acted unethically contacted me when her children were first taken claiming they were wrongfully removed. She sold her house to fight for her children back. There were four children wrongly taken. Evidence of corruption shown with thousands of complaints dismissed, or ineffectual. The sole purpose of this service is to offer false security of a safety net, be notified of wrongful decisions, and stay informed of who is aware of the corruption taking place. Julia Gillard is aware of this corruption but has failed to represent the children and parents who are victims of this corrupt department. With 20 DoCS workers exposed for corruption, from one case, this is the tip of the iceberg. The vast majority of families who encounter this problem are dissatisfied with their treatment by this department. 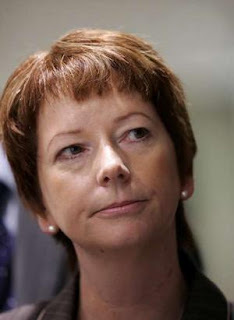 Julia Gillard has a duty to step in when she is aware of such a travesty. Kristina Keneally is also fully aware. My letter of complaint to Julia Gillard was forwarded on without comment to the premier of NSW who forwarded it onto the minister, Linda Burney. If I am complaining about corruption, it is corruption to be referred back to the minister embroiled in the corruption. 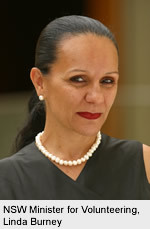 I have contacted Linda Burney with my concerns on numerous occasions, never once has she returned my call. The NSW government threatened me with Legal Action for turning whistle blower. This is against the Australian law for whistle blowers, and evidence of more corruption from the NSW government. I also am aware of the case of Betty Trestain, who has accused the DoCS NSW of using false psychiatrist reports. This is not an uncommon claim from people dealing with this department. 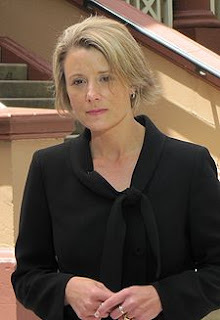 All families assessed by the psychiatrist who was found to provide a false report in the case of Melina Evelyn Skidmore (Vassel) undoubtedly should have their cases come under review, as do the psychiatrists regularly contracted by this, and every department in Australia. With the millions of dollars spent with these individuals, the fear of losing the golden goose if a psychiatrist does not "come up with the goods, is more than a remote possibility, it is now a reality, as is everything that this department has been accused of overwhelmingly for years with Linda Burney as Minister. It is not acceptable that this is the only corruption present when so much unethical behaviour has been related to one case, a mother who went to them for help? Persecuted along with her children, by 20 people who are supposed to be there to help. Somewhere along the way, this whole department has become permeated with the rotting stench of corruption. With the inclusion of 20 people in this corruption, there is no possibility that any staff member of that office is not aware of the wide spread corruption, and for the minister not to be aware of such prevalent and organised misconduct, is negligence on her behalf. I can assure you right now without seeing any figures, that there was no extreme rise in the number of complaints issued to DoCS complaints line at the onset of Melinas devastation. This did not just begin, but is deeply ingrained, and endorsed by the minister, the premier and the prime minister. Ignorance is not conceivable. The prime minister has been contacted constantly about the corruption within this department, and the procedure of writing off all responsibility with an email saying go see the premier, is not acceptable. She knows there is evidence of corruption, and has not acted upon this or followed up on the complaints. This is not nearly as sever an example as from the premier Kristina Keneally. For a premier who knows of a major corruption occurrence to refer more allegations of corruption back to the corrupt source, is morally and responsibly incorrect, unethical and surely illegal. Children need to be returned immediately, and a royal commission held into this department. The minister has operated with no supervision or investigation, protected by media laws, for way too long. It is the fault of the premier and the prime minister because they have failed to act immediately upon becoming aware of a major corruption existence. This is the worst type of corruption in existence, with children being wrongfully removed by evil people. Still it goes on. Hi, having just read this story I wanr to know more & who to go to for help. I tried the link above but it seems to take me to nowhere. I had both my children removed in May 2010, for voluntary out of home care. Only then to be slapped with Court Order to remove them permanently. They were split up, my youngest sons name was changed & my eldest now suffers from Anxiety & depression. I have no drug or alcohol problems & never have in my life. Have my own property in a beautiful rural setting, where both my boys were safe & secure. The only reason for the request for care that I asked for was because I had been very ill.
With no family to call on it was an impossible situation for me. 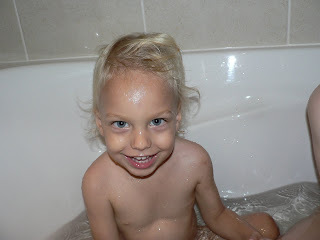 Both my boys are estranged from each othe & live just over 500klm apart. I want to know who to turn to, can I take Court action? I know it's been many years, but not a day goes by & I miss my youngest who will be 17 in a couple of weeks. The Luke's Army website is brand new and offers a forum for those dealing in or with the child protection industry. The Luke's Army group is full of members who have experienced the child protection system in every way possible. They are keen to give advice and support to all newcomers. The Luke's Army page is full of interesting articles related to the latest child protection newso.j.. The Luke's Army youtube channel is full of infomative videos to help you learn about the corrupt child protection industry. Children are better off when left in troubled homes, and not detained in state custody foster homes.